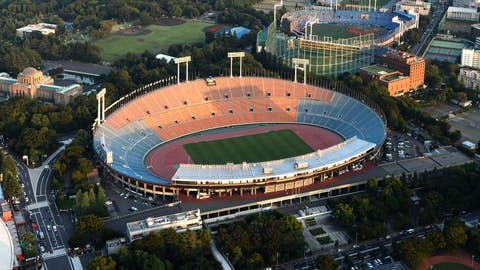 Tokyo's current National Stadium will be demolished to make way for a new venue to be used for the 2020 Olympics. TOKYO — Demolition of Tokyo’s old National Stadium will be completed by September and construction of the new main stadium for the Tokyo 2020 Olympics will start in October, the venue’s management group said Thursday. Demolition was supposed to begin last July but was delayed by irregularities in the bid process and missteps by the Japan Sports Council, which manages the stadium. The new 80,000-seat stadium is slated to host the opening and final of the Rugby World Cup in 2019. The old National Stadium was the centerpiece of the 1964 Olympic Games.